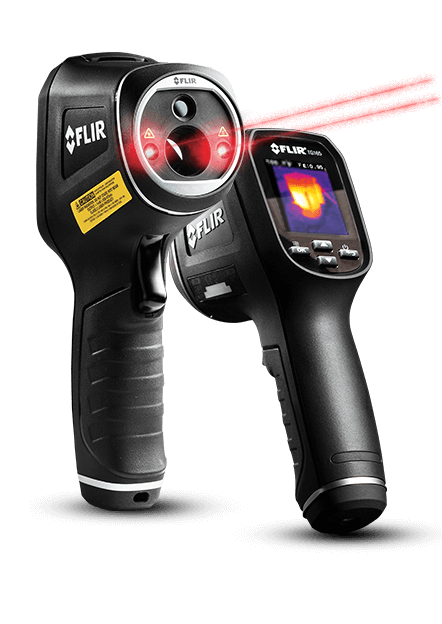 Thermal imaging is a useful tool for any condition monitoring program. By measuring the thermal radiation emitted from an object it is possible to identify developing faults in a wide range of scenarios. Thermal imaging cameras can detect electrical, mechanical and process faults in a vast array of temperature dependent applications. 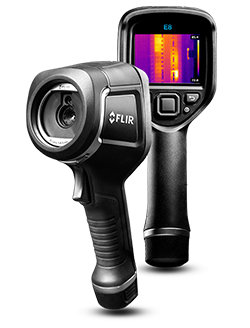 AVT Reliability® are UK agents for FLIR infrared cameras, and can provide assistance in selecting the correct camera for your needs and provide Thermography training for your operators. Thermal Imaging Cameras available from AVT Reliability®. The Exx series offers a full featured high resolution (up to 464 x 348 pixels). There are three camera in the range E75, E85 and E95 and all include a visual camera and MSX® real time image enhancement. Images are stored on an 8GB removable SD card. The cameras are available with Wi-Fi®, Bluetooth® and USB connectivity. Earlier models in this range, such as the E40, E50 and E60, are still available. 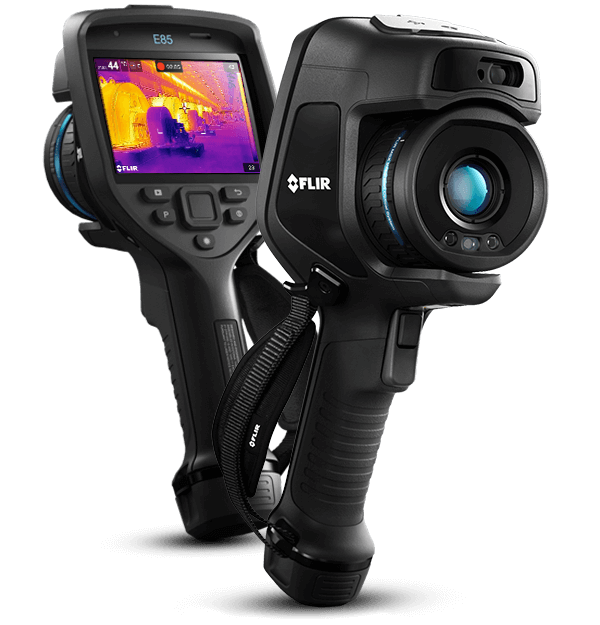 The FLIR E5, E6 and E8 are a simple to use, cost effective infrared cameras designed for building, electrical and mechanical applications. There are a range of resolution options (120 x 190 pixels to 320 x 240). The camera incorporates MSX® real time image enhancement and Wi-Fi® connectivity. 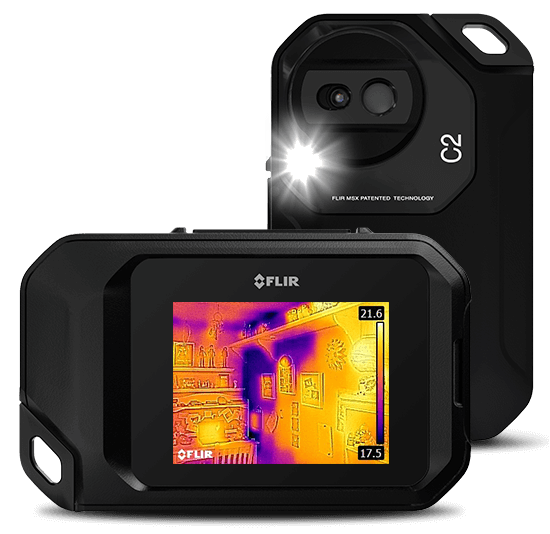 The FLIR C3® is a pocket sized full featured thermal imaging camera (80 x 60 image resolution) that is designed for building inspection, facilities maintenance HVAC or electrical inspection. The C3 includes MSX® real time image enhancement, area temperature measurements (including minimum & maximum) and Wi-Fi® connectivity. The C3 also includes a 640 x 480 visual digital camera and its internal memory can store more than 500 images. This simple low cost series of imagers includes two models. The TG165 with its wide field of view (50o horizontal) is ideal for building application such as HVAC inspection. The TG167 has a narrow field of view (25o horizontal) is designed for indoor electrical inspection. Up to 75,000 images can be stored on the camera for later download on the supplied 8GB Micro SD card (expandable to 32GB). The cameras have 80 x 60 image resolution. The A315 is designed for permanent installation and provides high resolution (640 x 480 pixel) images. The imager can be installed anywhere continuous monitoring is required and is available with a range of mounting options and accessories. The camera includes Ethernet connectivity using the GigE Vision interface which long distance fast image transfer using low cost standard cables. Image streaming is also available via USB. An upgrade option of this unit would be the A615. The AX8 is design for continuous condition monitoring applications. It is compact and easy to install and suitable for monitoring of electrical cabinets, process and manufacturing areas etc. The unit continuously streams a live video output and includes automatic alarms at pre-set temperatures. The camera has a 80 x 60 pixel image resolution and includes Ethernet connectivity. 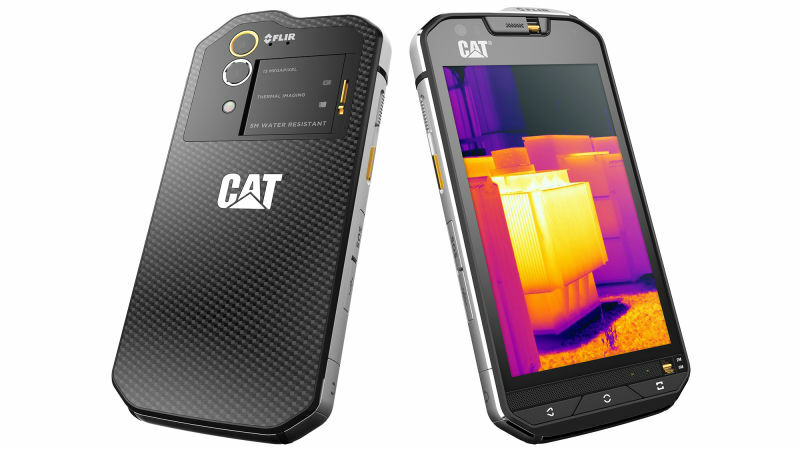 The S60 incorporate FLIR thermal imaging technology into an AndroidTM smartphone. S60 is waterproof to 5m and drop proof to 1.5m The S60 is the perfect accessory to your condition monitoring equipment as it is suitable for use with Machine Sentry® making it a powerful data collector. 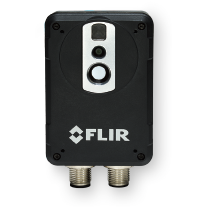 Note other FLIR cameras are available on request, contact us for more information.